Think about what attracts people to your products, prompts them to stop and look at your website or watch your videos. It’s all about visual appeal. Do you want your image to be rugged and resilient or warm and welcoming? At Absolute, we’ll help you develop a unique brand identity by creating visual elements that reflect the culture of your company. 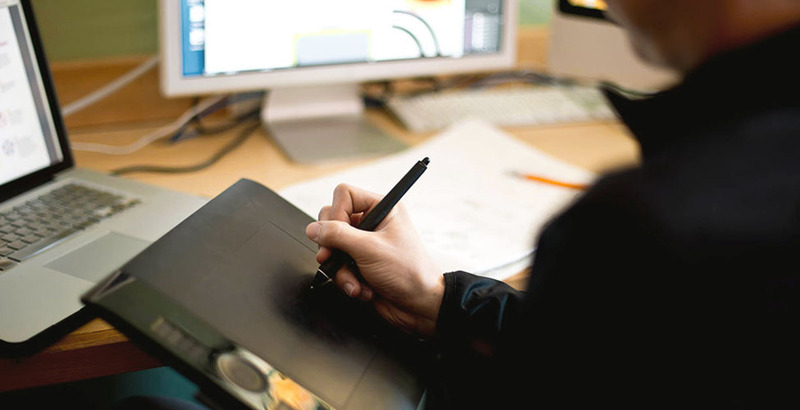 From prominent logos to eye-catching websites, our graphic designers and illustrators can create an array of striking visuals that reinforce the quality of your brand and command the attention of your potential customers. We’ll help you get them to look, then get them to listen.